Japanese firm Sekisui Chemical is buying Mitsubishi Plastics’s PVC pipe manufacturing business, including a joint venture in China but excluding the crosslinked polyethylene pipes business. The acquisition needs to be approved by the Japan Fair Trade Commission. Currently the second largest pipe maker in the country, Sekisui will combine with Mitsubishi, the third largest, to set up what it says will be the largest plastic pipe maker in Japan. 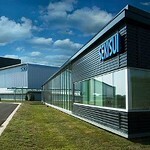 Sekisui will take over several Mitsubishi injection, extrusion and blow moulding factories and associated units in Japan, along with the Chinese joint venture that makes pipe joints, Wuxi SSS-Diamond Plastics. Sekisui will also take over Mitsubishi subsidiaries Toyo Plastics Industries, an injection, blow moulding and extrusion company; Hanyu Plastics Industries, which supplies extruders, and Ryobi Techno and various marketing and consulting units, all employing about 900 people. Sekisui said it will make use of the acquired assets to enhance its raw material procurement; reduce its production and logistics costs; boost value chain business expansion and allow for better use of recycling technology from Mitsubishi. In a statement Mitsubishi issued it says the adverse conditions in the Japanese pipe market “due to decreasing number of housing under construction and shrinking public investment projects,” made it sell the operations. After the sale is complete, Mitsubishi said it will restructure its Environment and Life Material business unit to streamline decision-making by “establishing an integrated manufacturing and sales system” for its remaining crosslinked PE piping business, its fibre-reinforced plastic tank unit and its civil engineering materials business with its Mitsubishi Plastics Marketing sales affiliate.